Hi friends! Happy Saturday! I hope you have some warmth and sunshine where you are! We are experiencing some frigid temperatures here in Ohio and looking forward to the Spring, so needless to say when we saw Laura Bassen‘s latest edition of Amore LauraFadora with our Fruit from the Heart stamps and Picture Book Love Bear along with a sorbet assortment of our exclusive inks! Be sure to watch the video for all the details, and enjoy! Thanks so much for stopping by today and thanks to Laura for being our guest! This is so cute and would also make for a darling baby card with a different sentiment. This is darling, Laura! So soft and sweet! What a cute bear and how creative to use him for the “o” in You! What a sweet card! Thanks for the video. Laura has tempted me into buying so many Picture Book animals-love how she uses them! Super fun card! That is a really cute bear die. I already follow by email. super sweet card!! Good tip doing a backer for the picture book die! Such a sweet thank you card! That’s a cute bear. Love the picture book dies. So cute. I have this bear die and love it. The sherbet-y colors and the ivory on white makes this feel like it would work really well for thank yous from a baby shower (obviously not where you are in your life, but that was kind of my first thought). Basically, I love how this is infinitely customize-able. These animals are so cute! Love your card Laura! So soft sweet and adorable! Oh me oh my what a cutie!! Did you buckle under the pressure and acquire a Gemini Junior???? Looked mighty fine in your hands! How darling! Lovely colors and wonderful design as always! Awww I love this. It would be so cute framed as nursery wall art. Truly adorable. OH wow, this is so sweet! 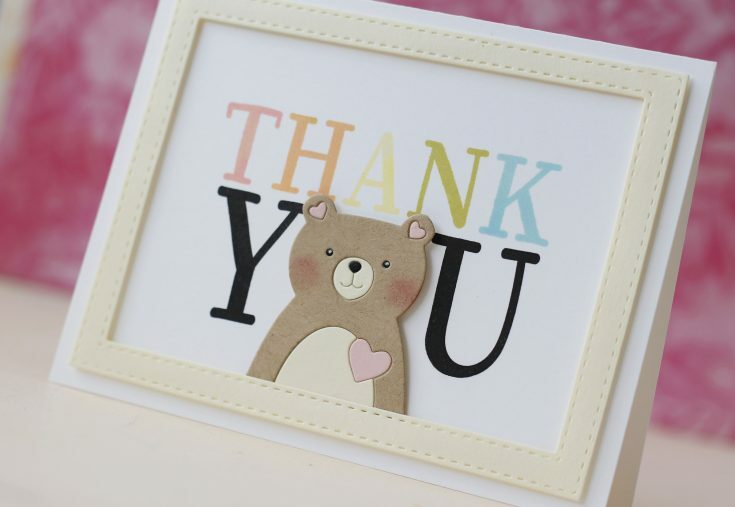 Very sweet looking card – I love the little blushing cheeks on that bear and that cute inset heart. What a cute bear. I like how you shaded him with ink. I need to remember to do that sort of thing. It adds SO MUCH. 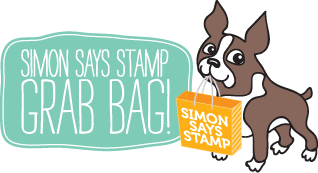 Your card turned out so stinkin’ adorable!! So cute and fun, I love that bear! Super sweet and fun card! Love the frame and colors. SUPER SWEET CARD!! I LOVE the Design! !THANKS SO MUCH for sharing and have a FABULOUS Week!! I love the rosey cheeks of this cute bear. This is so sweet! I love how Laura makes her picture book animals! Simply adorable! Love everything about it. Love the Fruit from the Heart stamp set AND your adorable card. You always add so many terrific details to create the perfect designs!! 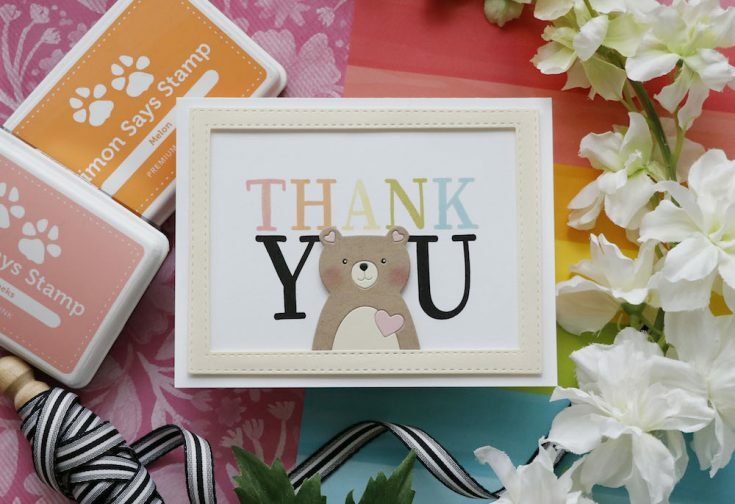 Very cute card–love the different colored letters and the adorable bear! Such a cute card! I love how the bear’s head replaces the O in YOU.